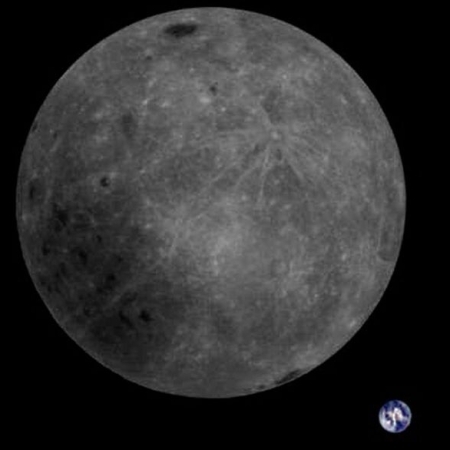 A interplanetary cubesat, Longjiang-2, launched with China’s communications relay satellite that they are using to communicate with Chang’e-4 and Yutu-2 on the far side of the Moon, has successfully taken a picture of both the Moon and Earth, as shown in the picture on the right. Longjiang-2 is confirming what the MarCo cubesats proved from Mars, that cubesats can do interplanetary work. And the picture is cool also. This was taken on February 3, when the entire face of the Moon’s far side is facing the Sun, illuminating it all. This timing also meant that the globe of the Earth would be entirely lit. Cool. A little information about the Cubesat included in this article would have been most helpful. PainesGhost: You need to click on the link I provided to find more information. The purpose of my post was to provide that link, and the image. I put up plenty of posts on Behind the Black with lots of information, but many are simply intended to provide a quick link to an interesting and informative story. This post was the latter.